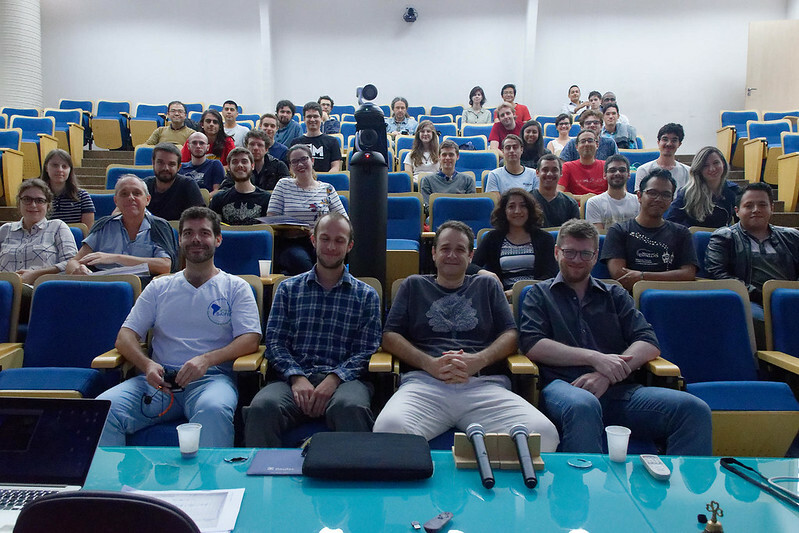 In view of the large number of junior registrations to the II South American Dark Matter Workshop, it has been decided to have one full day of preparatory course. On Monday November 19th, some of the senior participants to the workshop will give introductory classes on different aspects of the Dark Matter problem, aimed at the level of master/graduate students, in order to ease the understanding of the material presented during the following workshop. The flash-school has no registration fee, there is no aplication form and everybody is welcome to participate. List of Participants: PDF updated on November 16, 2018. How to reach the Institute: The flash-school will be held at ICTP South American Institute, located at IFT-UNESP, which is across the street from a major bus and subway terminal (Terminal Barra Funda). The address which is closer to the entrance of the IFT-UNESP building is R. Jornalista Aloysio Biondi, 120 – Barra Funda, São Paulo. The easiest way to reach us is by subway or bus, please find instructions here.